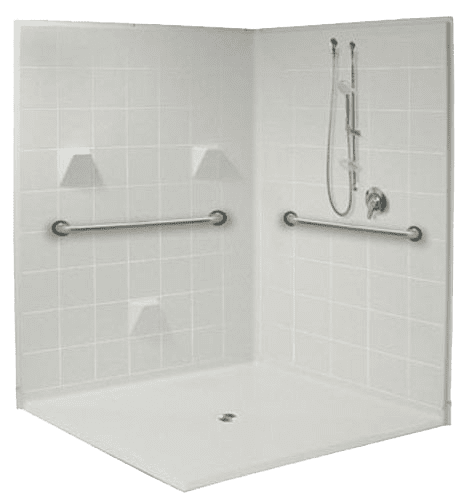 Accessible showers have a very low curb so they are easier to get in and out of than conventional showers or bathtubs. 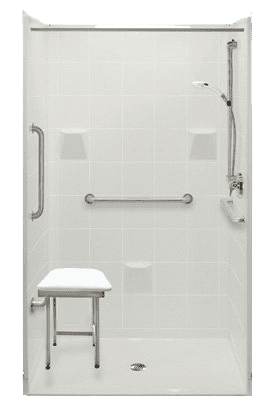 People with mobility challenges can walk into a barrier free shower or transfer from a wheelchair or use a rolling shower chair to roll into the shower. 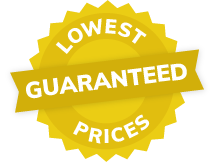 Freedom Showers are made in the USA and have a 30 manufacturers warranty. Freedom Showers are pre-levelled with a reinforced shower base and walls, saving installation time and eliminating future problems. Generally when you remove a standard residential bathtub, you have a 60” framing pocket. Our multi-piece bathtub replacement showers are available with end drains to match existing plumbing, for a simpler remodeling project. 60” Freedom Accessible showers are designed to fit into residential framing pockets, but are available in various depths for when you need a larger unit. 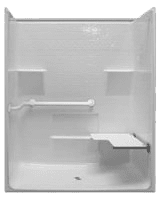 60” x 49” and 60” x 60” units are spacious units that can be used when someone needs assistance in the shower. Multi-piece units are usually required when remodeling so you can get the pieces into the existing bathroom easily. A few one piece units are available for new construction projects. A 48” x 37” shower is popular for smaller bathrooms. While not quite large enough to roll a shower chair into, you can roll a wheelchair up to the shower entrance and transfer onto a wall mounted shower seat. The 48” showers are available in multi-piece for renovation, or a 1 piece unit for new construction. The 50” x 50” showers are designed to help meet requirements for VA funded renovations. Accessible Corner Showers are designed to provide an easy access shower solution for corner spaces. The corner shower unit is available as multi-piece models, and includes an accessible shower base and two walls. 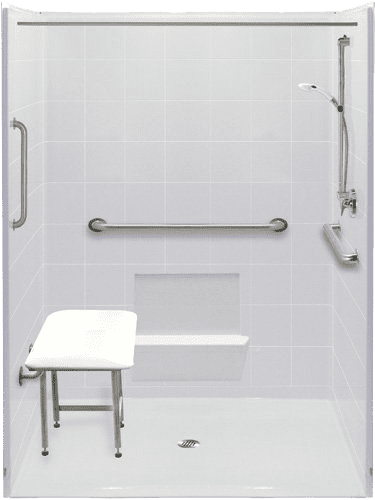 Our 61″ x 61″ corner shower offers a generous space for independent or assisted bathing. For ADA compliance in Commercial and public buildings, see our selection of ADA Showers.